Miscellaneous Musings: The White Album 50 Project: "Mother Nature's Son"
The White Album 50 Project: "Mother Nature's Son"
Wait a minute! Side three of the Beatles' White Album is the hard-rock side, the side that inspired the rock and roll of the 1970s. Songs like "Birthday" and "Yer Blues" were part of the soundtrack of every long-haired, bell-bottomed American kid in the seventies who ever played air guitar while standing in front of a full-length mirror. So what's a light folk-pop tune doing here? Whatever the reason "Mother Nature's Son" is where it is on the White Album, it actually works to provide a moment of tranquility in the midst of some of the Beatles' stormiest music, offering a respite before the next round of heavy rock. Paul imagines himself here not as the literal offspring of Mother Nature herself but as one of her many children. He was inspired both by Nat King Cole's "Nature Boy" and by a lecture from the Maharishi Mahesh Yogi, both about embracing nature and living as one with it. The acoustic guitar sets the scene of a bucolic landscape with gentle breezes, and Paul's lyrics accentuate the feel with a reference to a stream running through the mountains, visions of fields and wild daisies, and a desire to share songs with all of humanity. The music is embellished with a soft brass section and a timpani and bass drum, adding to the bliss. Paul, in an experimental mood (he recorded "Wild Honey Pie" during the session for "Mother Nature's Son"), had the drums placed in the corridor outside the studio and recorded them with the microphones at the far end of the hall for an open effect. "Mother Nature's Son" is all about the good vibrations of living in the natural world, and its effect was immediately felt by the studio engineers who worked on the track, and one of them, technical engineer Alan Brown, has fond memories of both the session and the song. Brown recalled how enchanting it was to hear such a song on a quiet night in the studio, and he gave Paul high marks for his lyrics, especially the lyric "Find me in my field of grass." "It has a completeness about it," he said in 1988. "It isn't any old field, it's a field of grass. We were all moved by it." Except for the brass section, Paul recorded "Mother Nature's Son" solo. When John and Ringo walked in on the session, their presence replaced the good vibes with a tense, dreadful feeling, but, according to engineer Ken Scott, the tension disappeared when they walked out (this was two days before Ringo walked out on the Beatles completely) after ten minutes and everything felt great again. "It was very bizarre," Scott recalled. Ironically, John and Ringo would help Paul record "I Will" less than a month later in a similarly relaxed atmosphere. 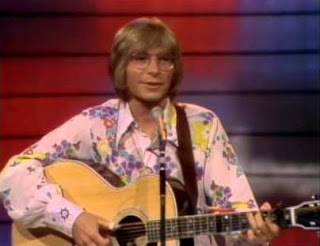 One would expect John Lennon to dismiss this song as one of Paul's "nice little folk songs" for the "grannies" to enjoy, since he once said that Paul was as good as John Denver at coming up with such a tune - especially after Denver himself (above) covered "Mother Nature's Son" in 1972. In fact, Lennon was inspired by the Maharishi's lecture about embracing nature to write his own song - "Child of Nature," which, as evidenced in demo form, has the same idyllic feel and the same warm embrace as "Mother Nature's Son," and it shows how John and Paul were still in sync with each other musically and spiritually even when they were growing apart personally. 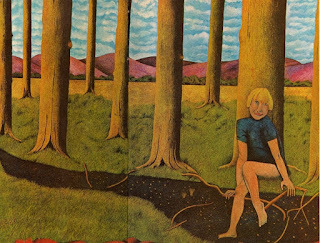 The Beatles never recorded it - possibly because "Mother Nature's Son" was deemed superior - and John, who never recorded "Child of Nature" professionally for his solo records, later wrote his song "Jealous Guy" (on the 1971 LP Imagine) to its melody. Did the Beatles make the right call? Should "Child of Nature" have been on the White Album instead? Listen to John's demo of his song and judge for yourself. Both songs are superb, and, as the song that made it on White Album, "Mother Nature's Son" is a poignant reminder, in this day of social cynicism and environmental degradation, that we really should get ourselves back to the garden. It's unfortunate that John would disparage musical styles that he would not compose himself.